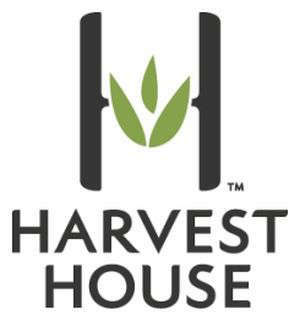 Harvest House Publishers has announced the promotion of two key managers for the purpose of better utilizing their strengths and creating greater efficiency and productivity within the company. The first of these changes is the promotion of Don Sage, former manager of financial operations, to senior director of financial operations. In his expanded role, Sage will handle additional corporate-level responsibilities including overseeing the newly renamed Implementation Solutions department. Previously organized as two separate departments—Order Fulfillment and Information Technology—this new name and management structure will properly align these company disciplines with their financial foundation. Along with this realignment, Stephanie Osborne, former director of information technology and order fulfillment, is being promoted to director/implementation solutions and will report to Sage. Osborne’s increased responsibilities will include the oversight of the Distribution department along with the continued administration of Implementation Solutions. As these two departments already work so closely together, given the functions of order entry, customer service, and distribution, this team realignment will now provide greater synergies and efficiencies within the company. San Luis Obispo-based marketing agency The Parable Group has announced that Michelle Wright has been hired as a digital marketing specialist. Wright has a 20-year background in sales and marketing with specialties in project management, publicity, social media and promotions with a strong entertainment focus. Wright joins The Parable Group most recently from Hughes PR, where she served as marketing/PR specialist for the Cantinas Foundation. Wright also brings industry knowledge from previous roles with Rogers & Cowan, Provident Distribution, Renovation (non-profit) and Reunion Records. During her years at Provident Distribution, Wright managed retail campaigns for Twentieth Century Fox Home Entertainment faith and family films including The Bible miniseries—the highest grossing, non-theatrical video sale to date through the Christian retail channel and the No. 1 miniseries of all time across Blu-Ray, DVD and Digital HD. In her new role, Wright will serve on the digital marketing team under Laura Clark and champion online display, video, mobile, social media and email campaigns for a variety of Christian organizations and ministries. The Parable Group enjoyed marked growth in their digital marketing services and is forecasting tremendous continued growth for that channel in 2015. 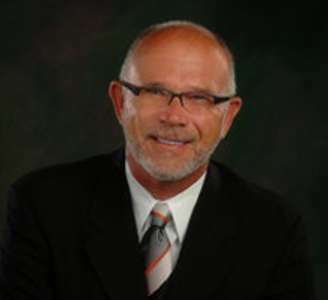 David C Cook has announced that Verne Kenney has been hired as its executive publisher. Kenney will assume the responsibilities that Dan Rich held as head of David C Cook Trade Books and Media until a long-term chief publishing officer is hired. Kenney is a trusted and respected colleague within the Christian publishing industry. While at Zondervan, Kenney led the team that collaborated with Randy Frazee and Max Lucado’s “The Story” campaign, which has been adopted by thousands of churches worldwide. Concurrently with his role as executive vice president of sales for Zondervan, Kenney also was appointed trade book publisher and head of marketing, leading those teams on an interim basis. In addition, he ran the Spanish Vida publishing business, turning it profitable and increasing its reach significantly in subsequent years. In this unique role that reports directly to Doornbos, Kenney will develop and document a proposed ‘Go Forward Strategic Plan’ with the Trade Books and Media team. Additionally, he will be responsible for co-creating a future focused set of new activities, processes and business models for Trade Books. Kenney will oversee all day-to-day operations of the Trade Book and Media unit beginning March 23, from acquisition and development of new book projects, to developing and implementing sales and marketing strategies. Kenney’s expertise has proven that he is successful at creating the strategies necessary to deliver impactful books to the market place. Wm. B. Eerdmans Publishing Company has announced the hiring of Lil Copan as senior acquisitions editor—General Trade. management, author and platform cultivation, substantive editing, and cross-platform content development. Copan has worked with an impressive array of bestselling authors including Madeline L’Engle and Lauren Winner. She acquired Frederick Buechner’s Faces of Jesus for Paraclete in 2004 and was credited by Jana Riess in a 2011 Publishers Weekly interview for having “brilliantly suggested” the concept for her book Flunking Sainthood. WaterBrook Multnomah, a division of the Crown Publishing Group, has announced several recent changes among its staff, including the promotion of Laura Barker to vice president and editorial director. A 12-year veteran of the company, Barker served in several management roles for WaterBrook from 1998 to 2004, including managing editor and editorial director, before doing freelance work for a season. Returning to the company in 2009 as editorial director, she has helped lead Multnomah’s editorial team with a high level of professionalism and expertise. In addition, she has acquired and edited some of Multnomah’s most important authors, including Kay Arthur, Liz Curtis Higgs and Joanna Weaver. She has established herself as an integral part of my management team and has become a trusted colleague in helping me in my transition here. Susan Tjaden has been promoted to editor, continuing to report to Barker. Since joining the staff in March 2012, Tjaden has worked on such titles as Shaunti Feldhahn’s The Surprising Secrets of Highly Happy Marriages and the forthcoming Unafraid by Susie Davis. Her recent acquisitions of promising authors like Joshua Becker, Elisa Pulliam and Becky Thompson showcase her publishing instincts. Kendall Davis has been promoted to assistant editor. Since joining WaterBrook Multnomah in July 2012, Davis has provided support to the editorial team and to our authors and agents. Her professional demeanor, commitment to excellence and creative problem solving have made her an invaluable member of the Multnomah team. Debbie Mitchell has been promoted to vice president/director of operations. Mitchell’s role is a widely varied one. 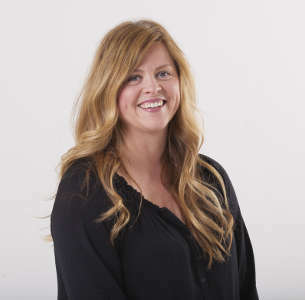 In addition to her responsibilities directing production, as well as managing editorial, inventory management and the art departments, she oversees all office operations in Colorado Springs. 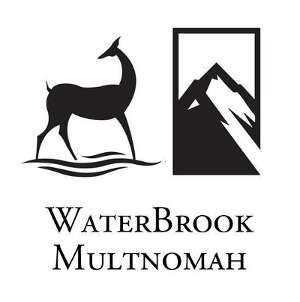 In connection to Tina Constable’s announcement that the position of associate publisher for WaterBrook Multnomah, Convergent and Image has been eliminated, Crown Publishing is announcing new leadership for the WaterBrook Multnomah publicity and marketing departments. Beverly Rykerd has been promoted to publicity director. Rykerd has been the publicity manager for WaterBrook Multnomah since 2011. She has directed publicity campaigns for dozens of our high-profile titles, many of them New York Times best-sellers, including Be the Message by Kerry and Chris Shook, Fearless by Eric Blehm, To Heaven and Back by Dr. Mary Neal, Bad Girls of the Bible by Liz Curtis Higgs, Greater and Crash the Chatterbox by Steven Furtick, Having a Mary Heart in a Martha World by Joanna Weaver, and The Winnowing Season and other novels by Cindy Woodsmall. Ginia Hairston will be joining the company on April 6 as vice president/director of marketing, An accomplished and creative marketing professional with more than 20 years of experience in Christian publishing, Hairston joins Multnomah from David C Cook, she most recently served as vice president of marketing. Previously, she served as program services director for HopeChest and as vice president of marketing for trade books at Zondervan.